We are called every day and every year to listen to others, share our own gifts and act to make a difference. I first answered that call as an NJEA Preservice member, and I continue to answer it as I move forward as a full-time active member. I believe that every action we take, every word we say, and even what we leave unsaid are the building blocks that define us. Each piece of our past is a lesson learned and a memory to carry us through the good and bad times, but it is also a connection that we have to others. My story is shaped by others’ narratives. I also must share my story, listen to the stories of those around me and combine the two. 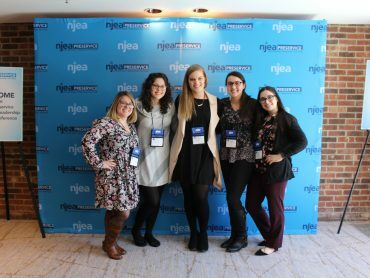 My first opportunity beyond my own campus came at the NJEA Convention. When I first entered the Atlantic City Convention Center, I wondered what the convention was all about and why we had time off every year for it. To me, the event was just a name, a brand that I recognized but one that I did not understand. I had not yet decided the educational content in which I would specialize, what certification endorsements I’d seek, and which grades I wanted to teach. So, I attended a wide range of workshops, visited many of the exhibitors and had a bag of free goodies to take back home with me. The whole convention was impressive, but what stood out to me was the confidence of one preservice member from my college. I watched as she introduced herself to every person that passed by and shared her passion about NJEA Preservice. 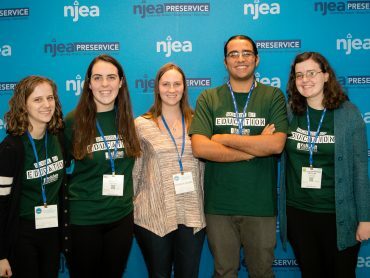 She spoke of many opportunities that I had never heard of, such as the NEA Student Leadership Conference, the NJEA Urban Education Symposium, and local and county association events. The light she carried within her sparked something in me, inspiring me to say yes to attending another event. She connectied with others, sharing her passion and experiences. 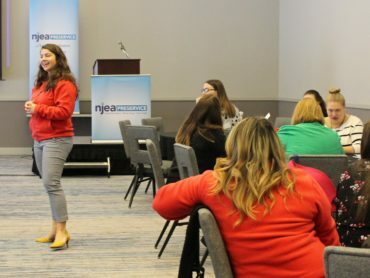 Listening, sharing and acting is a tradition at the NJEA Preservice Conference. 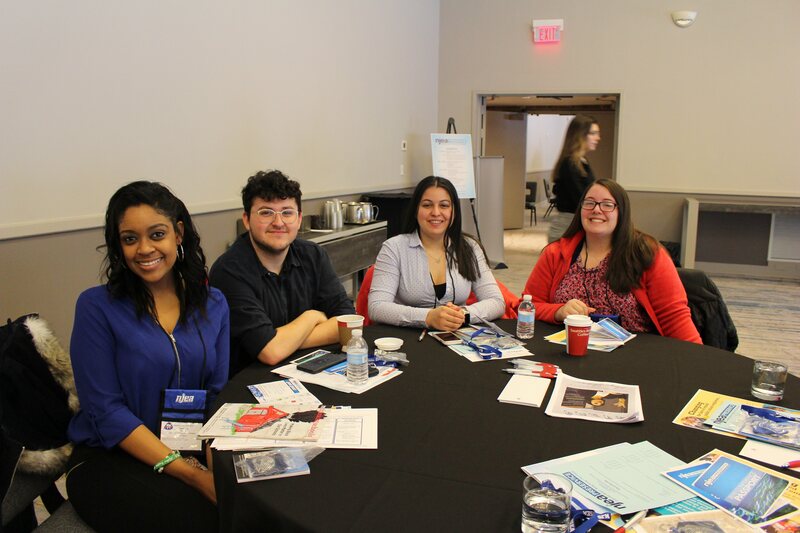 Sessions such as STEM implementation, First Year FAQ, EdTPA and Loan Forgiveness allow members to learn not only how to best support their students but also how to support themselves. Over the years there has been a shift in putting the focus back onto the needs of our members. We are always focused on the situations our students bring with them to the classroom each morning, but we rarely focus on the situations the faculty and staff are coming from. Professional development allows us to network with people, share ideas, and grow. The presenters share what they know, including their successes and their failures. One presentation at the annual conference that truly inspires me is the recognition of the New Jersey Teacher of the Year and county teachers of the years. These educators are willing to share their expertise, but also their flaws. They come to tell their individual stories; each one with a story that connects them to their audience. These educators will be the first ones to reassure members that sometimes it’s a bumpy road but getting through it successfully is possible. Through them, we are called to challenge ourselves. This year NJEA Preservice Conference is scheduled for April 13. Visit njea.org/preservice in for details. I urge everyone to create opportunities to hear the stories and lived experiences that surround you. As I move into the full-time membership, I understand more than ever that we are an organization founded by people for people. It is our responsibility to continue to attend to those professional relationships with our fellow members, colleagues, and our students.